As the world moves towards a more collaborative form of content generation, and as your website grows, you need to minimize your dependency on the web developer to upload, edit or delete content. The speed at which your website reflects the right content to the right people and enables them to post their own comments and content defines your website, and will continue doing so in the future too. You can leverage open source web content management systems to efficiently manage content on your website or intranet site. Many open source CMS are freely available for download, but there is a need to customize and enhance them so that they can be made suitable for your requirements. We have expertise in building customized web based content management systems using Joomla, Drupal, DotNetNuke and several other applications. We can undertake end-to-end deployment and customization work for these CMS applications. 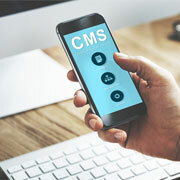 Having implemented CMS for hundreds of clients in different industries, our team understands the unique features, pros and cons of the popular open source CMS technologies. After understanding your requirements we will suggest a solution that will meet your requirements perfectly. We can also develop your very own content management system for your entire website of for portions of your website like blogs, forums, news, press releases, RSS, etc. Utilizing technologies like Linux, Apache, MySQL and PHP we can build customized, stable and flexible content management systems. Read more about how you can enhance your operational efficiencies with Outsource2india's infrastructure management services.